Okay gang, guess what I’m up to this week? I’m redoing “The Bridge”…AGAIN! Let me clarify, I’m reformatting “The Bridge” specifically for Kindle e-readers. Last night I got a 3 star review on Amazon, which I’ve been anticipating for some time. I mean, in spite of all the 4 and 5 star reviews, it was bound to happen right? Of course. But when I read the review I was stunned to see where some of the problems were for this reader. They considered the story itself a 5 star read. But the editing and formatting were barely 1 star. Now I’ve known about the editing for some time and have plans in the very near future to get the book the professional edit treatment it needs. I’ll finally have the funds to do it, I’ll explain how that happened in another post. But the formatting issues that were raised stunned me and I couldn’t help but smack myself in the head for being a fool. Especially, when I went over to Amazon and took a look at the sample of what the book looks like in Kindle form. I had made the cardinal mistake of assuming that when I first created the book on Createspace and used one of their templates, that the system knew what it was talking about when it offered to send the finished product to Amazon for Kindle. BIG MISTAKE! Now please understand, I do not own any type of e-reader. I’m still a “Turn-the-paper-page-by-hand” Man. So I never considered what the format might look like on an e-reader. What works for paperbacks does not automatically work for e-readers. First off, I have a tendency to use space gaps to indicate when I’m changing points of view in any scene. But I also use those for entire scene changes. In paperback this is forgivable, but in e-reader format it can be confusing to the reader. And if the change happens between the bottom of one page and the top of another, it’s even more confusing for which I apologize folks. These things never occurred to me. Plus, I got a good look at how the indentations appeared in the Kindle version. I nearly screamed. I had no idea the system would reformat things so unevenly. So I’m reformatting the entire book right now specifically for Kindle e-readers. I’m also trying to do a bit of editing along the way, but it’s still a far cry from the professional job this book needs. Yet, I’m also close to having the money to get that done, which leaves me with a quandary. My KDP Select ends in about 10 days. Should I just go ahead and take the book down and send it off to be given a proper professional editing job and then put out a really good 3rd edition, along with the new formatting? Or just reformat for now and then have that much less to do after getting the book professionally edited? I ask you all for your opinion on this. Personally, I’m leaning towards doing the reformat now AND then sending it off right away to the editor for a good makeover. Then re-releasing the book to Kindle, Nook, Sony the works as soon as the work is finished. My only concern is that this will leave me with no books on the market in the meantime. But a part of me thinks it might be worth the risk. What do you all say? Please leave your thoughts and comments below. I really need some feedback on this one. Thanks. Take care and keep writing. Today I’m going to talk about my experiences with Kindle Direct Publishing, aka KDP Select. This is a special program offered by Amazon to help authors promote Kindle versions of their e-books. The program is worldwide which really helps make your work available to a huge market. You sign a 3-month contract, which can be renewed automatically or ended when those three months are up. During this period you have the opportunities to raise and lower the price of your work at your leisure. This is where you will usually see the .99 Cent Weekend Specials coming from, or so I believe. When I was not in the program I could only lower my Kindle price for “THE BRIDGE” down to about $2.99. However, this might be so due to the size of the book (which came in at a little over 100,000 words) and/or the fact that I set my royalties at 70%. When my current contract with KDP ends this month, I may experiment with lowering my royalties cut to 35% and see if I can lower the price that way. I promise to do a follow-up after my contract is over and tell you what happens. In the meantime, while under contract with KDP, you will also be given the option of having up to 5 days of free giveaways. You schedule these days in advance on the system’s calendar. This way the system knows when to change the price to FREE for only those days. After your selected days are over, the system will then change the price back to normal automatically. Now, in utilizing these special pricing features, you must have the right mindset. The purpose for lowering your price to .99 cents, or doing Free Weekend Giveaways is to simply INCREASE YOUR READERSHIP! If you’re an little known author like me, your number one goal is to get your name out there and your product into the hands of readers. If they love what you’ve written they will be leaving reviews, which will be read by others who come across your work on Amazon. They will also be telling family and friends about your book. Some may even do a review on their blogs, or on Goodreads.com. This is free publicity folks. It’s not costing you a cent. No you’re not making money on those sales but you are building a following of readers who may be much more willing to put out money for your next work. In the 3 months I’ve been on KDP Select the number of copies of my book in the hands of readers went from just under 100 to over 1400. And I can tell you right now, even though there are only 15 reviews on Amazon, a number of these readers have told me flat out they can’t wait for the next book. I’ve also been seeing a slow increase in the number of paid sales, I’ve gone from low single digits to double digits for the past 2 months. It seems the word is already spreading. Some authors in the past have seen huge increases in their sales, but I’m still waiting to see if that really happens. I’ll keep you posted. But I’m very excited by the number of new readers who are eager to get my next book “THE SHIP” which is coming in December of this year. Now, with all these good words about KDP Select, there is one downside I’ve found. While under contract with KDP they have the exclusive rights to the e-book version of your work. This means you cannot have your book available in any other electronic book form (i. e. Nook, Apple, Sony and other e-reader formats). Now, when I first put “THE BRIDGE” out, I had it available through Smashwords so it was available in those other formats as well as in Kindle form through Amazon. But lowering my price for the Kindle version on Amazon or doing free giveaways, was NOT an option for me on Amazon because was NOT part of the KDP Select program. So I had to make the difficult decision of taking my book off Smashwords and the other e-reader formats for the duration of my 3 month KDP Select contract. When the contract is finished at the end of this month, I will be making “THE BRIDGE” available on Smashwords once again. I basically used my time on KDP Select as wisely as I could, to increase readership and get my name out there more. I’m hoping there will be a good strong increase of sales on Smashwords when I get the book back up over there. I’ve already had a number of people asking when will “THE BRIDGE” be available for Nook. That will be happening in the beginning of September, so just hang in there a little longer folks. It’s coming. So how do I plan on releasing my next book? Will I do KDP Select first for 3 months and then add Smashwords? Or shall I simply skip KDP Select and just put “THE SHIP” out for Kindle, Nook and ht other e-readers all at the same time? I had planned on doing KDP Select first and then adding Smashwords (who distributes to Nook, Sony, Apple and the other e-readers). But that when I had hoped to release “THE SHIP” in October. By December I was going to add Smashwords in time for Christmas. But due to a family crisis, where I wound up losing my father-in-law to cancer, all those plans got pushed back. Currently, I am planning to put “THE SHIP” out in December. As to whether I do just Kindle or Smashwords as well still remains a question. I don’t want to leave my Nook and Apple readers hanging for 3 months AFTER Christmas. It just doesn’t feel right. So if any of you loyal fans who have a Nook, Sony or other e-reader are reading this, please tell me if you want “THE SHIP” in time for Christmas. You’re wish will be my command. After all, no author can survive without readers. You are what make or break an author and their works. I hope this lengthy entry was of help to all of you. If any of you have had other experiences or things to do with KDP Select, please leave comments below. We’d all love to hear and learn from you as well. Until next time, keep writing! I want to thank everyone who participated and took advantage of getting a free copy of my paranormal/mystery “THE BRIDGE”. The first time I did a Free giveaway, less than 450 people took advantage of the opportunity. This time I did wee bit better… 896!!! And to all of you who helped spread the word to others about the giveaway…THANK YOU ALL SO MUCH! You gave me the opportunity to reach more people and hopefully turn them into fans. I know a number of people will be saying, “Gee… too bad those weren’t actual money sales.” And they would be right. However, when you’re first-time author and trying to get your name out there, giveaways can be a powerful tool to get a fan-base started. I’ve heard from a number of people who keep telling me they loved the first book and are looking forward to the next one. 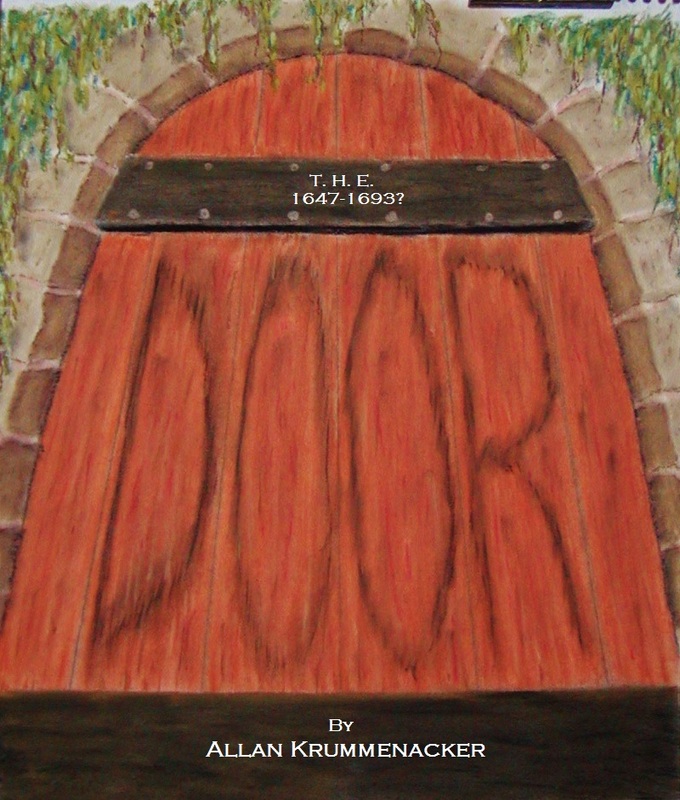 To date: 1408 copies of “THE BRIDGE” are out there in the hands of readers. Of those about 100 were actual paying sales. Now most of those people had never heard of me before and took a chance and from what I’ve heard, they were glad they did. Those new folks are eager to see what I come out with next and will quite likely be willing to not just wait for the free-versions. Yes, free giveaways are a gamble, but they can pay you back down the road, you just have to be patient. Remember you’re in this for the long haul. JK Rowling, Stephen King and other greats did not make millions overnight. They had to get their names and products out there. But they had help in the form of publishing companies and agents. They still had to do a lot of self-promoting as well, don’t get me wrong. However, even with big name companies to help spread the word, but the authors had to get out there as well. The same holds true for us Indie Authors. I know I’ve mentioned all this before in previous posts, but it still holds true. The greatest marketing tool is you the author. Go to local bookstores and find out how they choose books to put on their shelves. Especially local bookstores who may want to feature a new hometown author. The same goes for radio and television stations. Check your local ones and see if any want to interview you. Talk to local libraries and book clubs to see if they want a speaker to talk about e-publishing. Hold free giveaways on Amazon and Smashwords to increase your reader base. Those who love your book WILL tell their friends and recommend your work to them. It all takes time, have the patience and persevere. That’s all I can tell you right now. If any of you who read this blog have extra advice please leave those suggestions in the comments section below. We’re all in this together and sharing our knowledge can help everyone. Until next time, take care and keep writing. As my KDP Select winds down at the end of this month, I’m making my debut paranormal/mystery “THE BRIDGE” available for Kindle absolutely FREE! Just click on the Amazon link below this Saturday-Sunday-Monday (August 10-12) to get a free copy. And if you’ve already gotten yours, tell your family and friends throughout your network: Facebook, Twitter, LinkedIn, MySpace, Pinterest, the works. I’d love to see a whole new crop of readers get hooked on the first novel of my Para-Earth series. Book number 2 will be out in time for Christmas, so I’m making sure as many people as possible get a chance to see where it all begins. NOTE: For those who don’t have Kindle, fear not. “THE BRIDGE” will be available for Nook, Apple, Sony and other e-readers starting September 1st. Stay tuned for that announcement coming soon. Okay gang, I’ve got something different for you today. A writing exercise. I shared one of these a while back on my other blog and it was well received. I hope this one will also be as popular. Sometimes when we’re writing, pacing can be an issue. We have characters who can’t (or won’t in some stubborn cases) leave a room or a scene which winds up becoming stagnant and boring for the reader. As writers, it’s up to us to keep things interesting with every scene. Other times we rush through a whole bunch of events within a few pages so things become a mish-mash of actions that might have been better off being spaced out across the entire story instead of clumped together. 1 – Have two characters in a vehicle, with a destination in mind. The driver of the vehicle will never get out or turn the engine off at any point of the story. 2 – They must stop 5 times and interact with another person or group of people at each stop. 4 – The entire story will take place in/or around the vehicle. I smile, “No problem Old-Timer. Glad to help out.” That earns me a glare that has made many of my fellow officers wilt. But I can get away with it. Roy and I were partnered up back in New York City twenty years ago when I was a rookie cop. A few years after he left the city to become Chief of Police here in New Swindon, he invited me to join him as his second-in-command. And with all the cops who had seniority over me at the precinct, I jumped at the opportunity. “Cracks like that can get you demoted missy,” he growls. He growls and then falls silent for the moment. Out of the corner of my eye I see him squirm a little. “Need a pit-stop?” I ask. All I get is a grunt, but I know what it means. So I pull the patrol car over to a nearby restaurant. “Keep the engine running, just in case a call comes in,” he tells me. “Like I’d forget to do that,” I reply innocently. 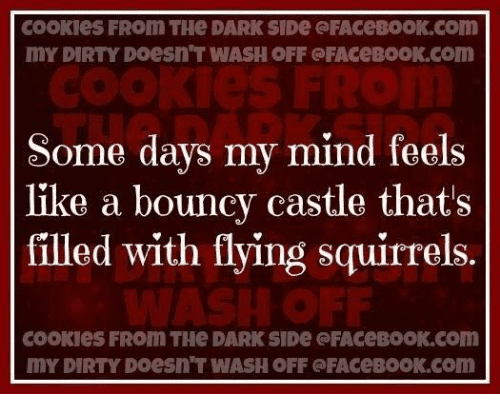 Just then the radio attached to my shoulder crackles making me jump. For a second, I wonder if I’ve left the microphone open again and he heard me. Instead it’s just Pam, our dispatcher back at the station, checking in to see how our boss made out at the eye doctor. I tell her he did just fine and that she can call his wife to let her know he actually went this time. Men can be such babies about doctor appointments. We chit-chat for a while, since there doesn’t seem to be a lot going on today. She asks about Alex, my ‘Boy-Toy’ as everyone calls him. I can’t blame them. I was leaving high school when he was just entering kindergarten. “Oh, he’s doing fine,” I tell her. “We got a little enthusiastic last night,” I tell her and leave it at that. There’s a pause. Then I hear, “You are one lucky lady, Sarge. Oops call coming in. Talk to you later.” With that the radio falls silent. “Don’t I know it,” I mutter quietly, trying not to think about the 15 year age difference between me and my love. But before I can dwell on my romantic life, Roy emerges from the restaurant carrying two coffees and a bag of food. “Compliments of the house,” he tells me, as he gets back into the car. “Someone trying to get a parking ticket fixed?” I ask checking out the contents of the bag, hot sandwiches and pastries. Nice. “I don’t operate like that and you know it, Sergeant,” he tells me stiffly. But I can see the amusement in his eyes. We cap on each other all the time, like a couple of teenagers. But only when we’re alone, we’re careful not to do it in front of anyone else. We can’t afford to lose that air of authority. I back the patrol car out of the parking lot and get us back on the road. The station is only about ten minutes away and we can eat more comfortably there. We get about two blocks down the road when I see a slender, blonde-haired man walking along the sidewalk. I instantly recognize his backside, since I’ve grabbed it enough times. A smile crosses my face as I consider whether or not to hit the siren and give him a little scare. But before I can decide, Roy grabs a bullhorn from under his seat and rolls down his window. “All right Hill, hold it right there and keep your hands where I can see them,” he barks and then tells me to pull over. Suppressing a grin I do as I’m told. The pedestrian in question has already come to halt and even dropped to his knees, while putting both hands on his head. My boyfriend looks up at him and suddenly stands up saying, “Oh well if you haven’t found out about it yet, then I got nothing to worry about.” His British accent isn’t quite so thick now, nor is it Cockney. Born and raised for the first part of his life in England, Alex has never lost that way of speaking. But occasionally he loves to amuse everyone by using some of the other accents from his place of birth, just as a New Yorker may fake a Texan accent over here. “I’ve still got a bone to pick with you,” Roy tells him with annoyance. Alex glances over at the patrol car and sees me. A wicked grin crosses his face. I shake my head. He’s about to get smart with my boss, and my hearing is very sharp. So I get to hear everything. I feel my face turning as red as my hair. At 45 I certainly don’t look my age. Many people mistake me for being in my mid-30’s, which is how I landed up with Alex who just turned thirty last month. We’ve been together three years now and he’s even more devoted to me in spite of our age difference. Now I’ll admit, I’ve kept myself in good shape. You have to when you’re a cop otherwise the bad guys take advantage of it and get away. So my figure still turns heads fairly often. Maybe that’s one of the reasons why he loves me so passionately and frequently. He’s always seems more than willing to prove it by getting me out of my clothes. Sometimes he doesn’t wait even that long. Not that I’m complaining, I feel the same way about him. But how long can it last? How soon till he starts noticing the first hints of lines around my eyes, or that I’ve gotten my first grey hair? What then? Knowing him, he’ll probably propose again. God he’s wonderful. Meanwhile I can still hear Roy raising his voice outside the car. Apparently it was my Boy-Toy’s fault that he had to see the eye doctor today. “All I said to your wife was that you were complaining that you were having trouble reading reports lately,” my love explains. “Yeah well next time keep MY complaints to yourself, all right?” Roy tells him and climbs back into the patrol car. I can see Alex standing on the sidewalk with the most puzzled look on his face. I can’t blame him. How do you keep someone else’s complaints to yourself? I’m tempted to ask Roy but he’s already buckled up and telling me to get going. I blow a kiss to Alex and take off. We go another couple of blocks only to be stopped by a traffic light. I hate this particular one. It’s the slowest one in the whole damn town, or at least it feels that way. And since there are two lanes going each way, whoever pulls up next to you will naturally roll down their window wanting to talk to you. And today is no different. Off to my left I hear and engine roar like someone wants to race. I turn and see my current partner Steve Patell on his motorbike. Even with the helmet and sunglasses, his big moustache is unmistakable. He’s grinning at me now and revs the engine again. Apparently he hasn’t seen who’s in the car with me. I roll down my window. “Hey, cut that out or I’ll site you for noise pollution,” I yell to him. I can’t resist. I lean back and let him get a good look at our boss who’s glaring at him. A car behind us beeps. The light’s changed and my partner is already taking off. Not too fast, but enough to stay out of reach for the moment. He knows he’s going to get chewed out at the office. Poor guy, I almost feel sorry for him. But then again he keeps dropping hints for me to dump my Boy-Toy and take up with him. Like that’s ever going to happen. He’s only a few years older than Alex. What is it with me attracting younger men? “Patell would make a great cop if he’d stop horsing around so damn much,” Roy grunts. “He gets along good with the high school crowd,” I point out, coming to my partner’s defense. It doesn’t help though. “They like him because he never grew up. He’s got the same mindset as they do,” Roy replies, staring straight ahead. I can tell further defense of Steve will only result in more annoyance so I decide to let things drop. Roy has a point, but so do I. My partner and I get along really well with over 90% of the high school crowd here in New Swindon. And they are willing to come to us with problems, especially when they’re afraid to turning to Mom and Dad. Which makes sense since all we can do is talk them to death. Their parents can ground them. For the next five blocks Roy goes on and on about the importance of keeping up a good appearance and authority. We’ve just turned down a residential street and I spot Frank Marshall, one of the town’s older residents struggling with his groceries. I pull over and Roy gives me a look but doesn’t say anything. After working together for so long, he can read me like a book. “Keeping up appearances, huh?” he growls. I smile innocently at him..
“You, you snot-nosed Rookie,” he grins evilly. “That’ll teach you to be a smartass,” he adds and then disappears. My mouth hangs open. Damn him, I was hoping to spend a good part of Saturday in bed with Alex. Now it’ll just be Friday. Sunday we’ll be going over to New Haven to be part of a Ballroom Dance exhibition. I watch Roy with Mr. Marshall and the two of them are having a grand old time talking. ‘Gee, I can hardly wait to hear the stories about the ones that got away,’ I think drily. The rest of my musings are cut off as Pam’s voice comes over the radio.. A car’s been stolen and a chase is already under way. The vehicle isn’t too far from here. I pop my head out the window and tell Roy what’s up. Within seconds he’s back in the car and telling me to hit the sirens. We take off. I give him the full run-down on what’s happening and he grabs the microphone to help coordinate the pursuit. Roy knows every street in and around the town. You don’t stay Chief of Police for over twenty years without knowing your territory. He tells me where to turn and within moments we’re right behind the stolen car. It’s a metal blue Impala. And from what I can see of the driver’s head, it looks like they might be on something. I floor it and we get right up to the Impala’s bumper. This makes the guy nervous and he takes the right onto 44 just as planned. We stay right behind him. In this area, the road is only one lane each way. So there aren’t many places our friend can go. But it gets twisty in some areas, and we’re coming up on one of the bends. The car thief is definitely on something. He almost doesn’t make the curve. With tires screaming he winds up compensating too much and swings over into the opposite lane before righting the car. I don’t have that problem. “Keep on him, Ronnie. He’s going to have to slow down and pull over, or do something really stupid,” Roy tells me absently, as he leans forward in his seat. It’s obvious he’s totally loving this chase. That’s one of the great things about him. He’s never been one of those people who enjoys being behind a desk all day. Getting out on the street, meeting people, taking the pulse of the town, that’s the way he likes to run his station. And it works. We’re almost on top of the Impala again when the guy suddenly swings over to the left lane. Luckily there’s no oncoming traffic. “Shall I give him a tap?” I ask Roy, hoping to force the guy over or spin him out before someone comes along and gets hurt. But before my boss can answer the guy suddenly swings back into our lane, and the front end of my patrol car. Both our cars start to spin out. It happens so fast I don’t have enough time to avoid the ditch on the side of the road. The next thing I know the world through the windshield flips over amidst a loud thunderous crash. It takes a few seconds for my vision to clear and I see the world outside it upside down. Luckily I don’t feel any pain. I look over at Roy who seems to be okay too. He grins at me and pats the built in roll-bar above our heads. Without it, we probably would’ve been crushed. Carefully we get our seatbelts undone and manage to crawl out through the side windows. Getting to our feet we see the Impala wasn’t as lucky. It flipped a couple of times before landing right-side up. However our friend who led us on this merry chase wasn’t wearing his seatbelt and got ejected. We find him a few yards away from where his stolen prize landed up. Miraculously, he’s just got a few bruises and a cut on his forehead. We put he cuffs on him and call for back up using our shoulder radios. A noise in the background catches our attention. Turning around we see the patrol car’s back wheels are still spinning. Roy gives me a look. Well, as you all know last month I did my first free promo on Amazon, where 400 people snatched up their own Kindle copy of my paranormal/mystery “THE BRIDGE”. Now, one of the things that inspired me to take that risk was the fact that I’d read in many different articles and blogs, that such a promo could help actual paying sales. Those who grabbed a copy start spreading the word about how much they liked the book and tell others to get their own copy. I can safely say, I’ve seen a slight increase in the number of actual purchased copies of the book, but nothing astronomical. So this last weekend I did a special .99 cent promotion which netted about 5 or 6 sales total and that’s all. Now a number of you may be thinking, “Wow, that wasn’t very impressive.” And you’d be right. But, it’s about what I expected because, “THE BRIDGE” is my first book. I’m still an unknown author. I did try and foster a following in advance and build up anticipation and interest in the book and look at the total results. To date, about 500 copies of my book are out there, which to me is rather impressive for a first timer. The book has been garnering mainly 4 and 5 star reviews, 13 on Amazon and 15 on Smashwords. Now only 3 of those reviews came after the free giveaway. So, I have reason to hope for more reviews and that these folks will be so excited by what I’ve done, they’ll not only be dying to see the next installment (which is something I keep hearing from those who have read “The Bridge”). But I’m also hoping they’re going to be spreading the word about it and the upcoming sequel to all their friends and networks, which will in turn translate into more sales. Remember when it’s only your first or second book, you’re still building a fan base which takes time and patience. Now, I do plan to do one more free giveaway on Amazon sometime in August, before my exclusive KDP Select contract expires. 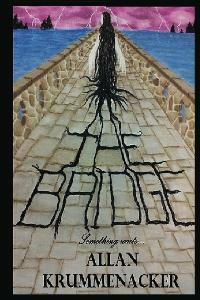 Once it does expire, I’m bringing “THE BRIDGE” back to Smashwords, Nook, Apple and other e-readers. I’ve already had a number of inquiries of when the book will be available in those formats, so I’ve still got more prospective customers to come. On the other hand, I do have one concern and that is, “Have I hit my limit of possible customers in my current “sphere of influence?” I’m always interested in getting the word out about my book out to more and more people, but I’m starting to run low on ideas of how to make that happen. I’ve done LinkedIn, Twitter, Facebook, Goodreads, press releases, contacted radio and newspapers (with minimal results on these two but I’m still trying). So, if any of you have suggestions, please leave them down in the comments section for me and other readers to learn from. Remember, we’re all in this writing thing together and one of the main purposes of this blog is to share ideas and experiences. So don’t be afraid to share or ask questions. Results From My First E-book Giveaway On Kindle…. The final tally is in and 365 people took advantage of the chance to get the Kindle version of my paranormal/mystery novel “THE BRIDGE” for free. Hey, a reader for every day of the year… chuckle. I’ve never done a free-book promo on Amazon before, so anyone with experience please let me know if this is a good number. I think so, but I like to hear other people’s thoughts. The answer is simple. I wanted to increase my sales. Now I know this sounds like a contradiction, but hear me out. To date, only 100 copies of my novel had sold before this giveaway. And about 1/2 of those were actual sales over six months. I’ve had 10 reviews on Amazon and about 15 on Smashwords. Not bad numbers, but certainly not earth-shattering. I’ve had family and friends helping promote the book throughout their social networks. I’ve done press releases, sent out free copies to newspapers and radio stations. My sales ranking on Smashwords was impressive, but the sales were still not coming as strongly as I’d like. Why? Not many people have ever heard of me. I’ve got ONE book to my name out there, just one. I’m still building my reputation and a following. In this day and age, a lot of people are very choosy about what they buy, even in e-books. So those who sell their works for .99 cents or less have a better chance at being grabbed up. Especially if you have a good tagline and cover. But sometimes even that’s not enough. Word of mouth is truly the biggest and greatest weapons we have to get our names out there. And that only happens if we get our work into the hands of more readers. Now, I’ve read (in a number of places) that authors who’ve done the free e-book promos see increases in sales within the weeks/months that follow. Readers get hooked on what they’ve read and tell family, friends, and people in their social networks about it and get them excited enough to get their own copies. In turn they may fall in love with the book and tell even more people about it, thus perpetuating sales and building the author’s reputation. So now I’ve taken the plunge. Now all I can do is wait and see what kind of results happen. I’ve already heard from one or two people who took advantage of the giveaway and was delighted to hear them say, “I don’t usually read this genre but the story has already sucked me in. I’m going to want to read the next one…” I’ve been told this before by other reviewers as well, which gives me hope for the future of my books. But more importantly, I’m hoping they will spread the word and get others to check it out. I’ll keep you all posted on what happens next. As I said way back when I first started this blog, I’m going to share this journey with you all. My ups and downs, so hopefully you can avoid some of the pitfalls I landed up in. Success or failure, we learn from them. Hopefully, you can learn from mine.